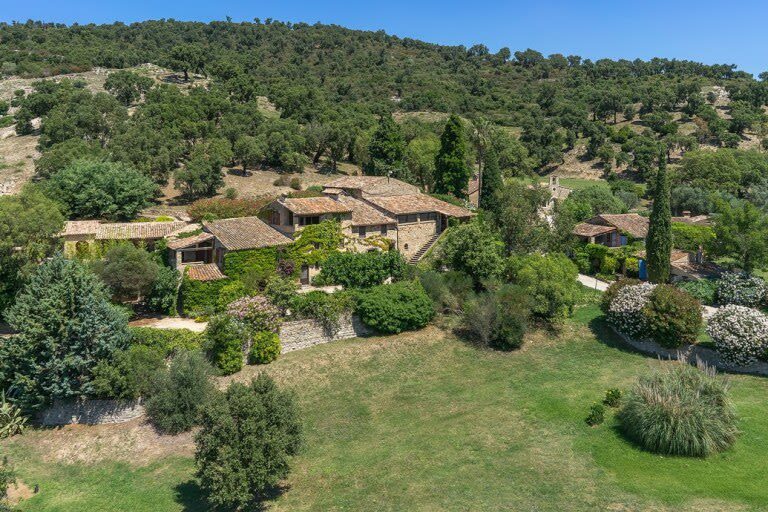 Even the wildest imagination would have trouble envisioning an estate as grand, elegant and breathtaking as Johnny Depp’s hamlet, Plan de la Tour, located in the majestic French countryside, just outside of Saint-Tropez. 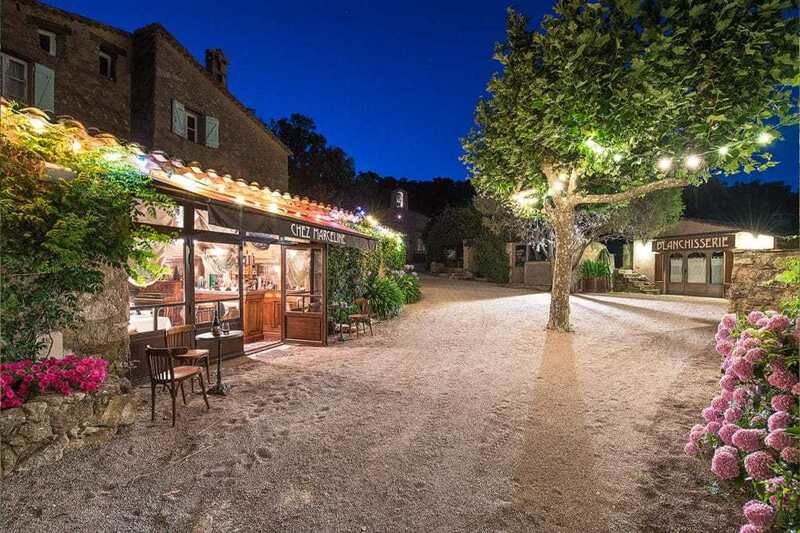 This estate’s provenance cannot be matched, with buildings that have survived from the time of the French Revolution, a complete Provencal village, and a former chapel that’s been thoughtfully converted to a guest house. And Rick Hilton is excited to announce a price reduction, making this European dream even more attainable. 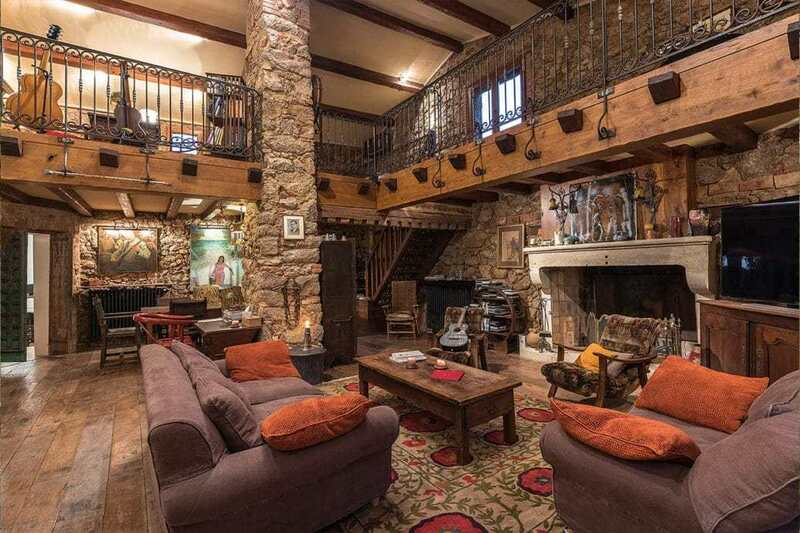 The Bohemian-style living space totals over 12,917 square feet (over 1,200 m2), and includes a main house, six guest cottages, a bar, and restaurant, and combines to total 15 bedrooms and 14 bathrooms. Set amidst gently sloping grounds with picturesque vistas, this incredible location helps enhance the home’s rustic, yet luxurious finishes. Two swimming pools, the larger of which is surrounded by sand creating a beach-type setting, a gym, and a painter’s studio (a favorite room of Mr. Depp’s) help draw together a home that is beyond compare. Walk through the property’s 37 acres (15 hectares) to enjoy olive groves, vineyards, and 300-year-old oak trees. A natural energy of peace and tranquility is abundant throughout the meticulously crafted compound. The attention to detail is second-to-none, and Mr. Depp has ensured that this home would stand alone in the world of luxury estates. Since acquiring the property over a decade ago, he has invested over €10,000,000 into the home to meticulously restore and decorate the estate. Mr. Depp’s unwavering care has helped Plan de la Tour become one of the world’s most breathtaking properties. It goes without saying that homes of this caliber seldom come to market, as legacy properties of this stature are next to impossible to find. Plan de la Tour is unquestionably one of the most unique estates on the market, and is now listed for €35,000,000. For full property details, click here. To learn more about this exquisite offering, contact Rick Hilton.